Other great moments in cinematic history: WHEN HARRY MET SALLY (1989) - Showing off to Meg Ryan, Billy Crystal croons a nifty "Surrey with The Fringe on Top." DAVE (1993) - As Kevin Kline bikes his way home through Georgetown, he cheerfully belts out "Oklahoma" at the top of his lungs. And what inhumane punishment is forced on Wednesday and Pugsley in ADDAMS FAMILY VALUES (1993)? A forced-hearing of the title song from "The Sound of Music." Nancy DiTuro is manager of publishing administration for Williamson Music (ASCAP) and R&H Music (BMI), the two music publishing divisions of The Rodgers & Hammerstein Organization, where she works closely with Maxyne Lang, President of Williamson Music, and Ted Chapin, President and Executive Director of The Rodgers & Hammerstein Organization. Among her many duties, DiTuro interacts with representatives of the film and television industries seeking licenses for their screen properties. Once granted, these "synch" licenses (short for "synchronization," as in synchronizing the music to a picture) allow the licensee to use a Williamson song in their movie or television program to make a point or punctuate a scene. "We get requests from film producers all over the world," says DiTuro. "For television, which can be much more rough 'n tumble, I get up to a thousand requests a year." 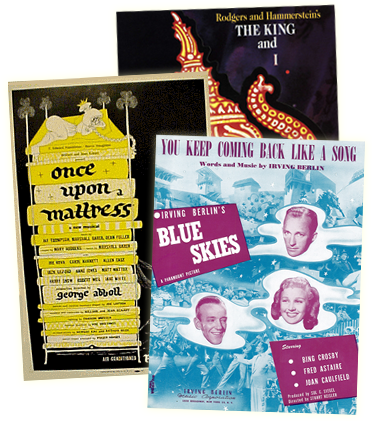 Working with such established catalogues as Rodgers & Hammerstein, Irving Berlin, Elvis Presley and Sheldon Harnick, it is no wonder that Williamson frequently hears from Hollywood. To evaluate a producer's synch license request, Williamson usually needs to read the scene surrounding the song's usage, and sometimes the entire script itself. The process can be painstaking; film producers often contact the office up to a year in advance of shooting, although television producers have been known to fax scenes just hours before taping. Each request is considered on its own terms with the Williamson staff working from guidelines established by a chain of command that gives the songwriters' personal representatives the final word. "No lyric or music changes whatsoever. Musical arrangements are considered separately. Of course we'll work with the writers and try to accommodate whenever we can." As important as keeping the music and lyrics intact is the more subjective but potentially weightier responsibility of honoring the spirit and intention of the songs. "We will not let anyone dishonor our songs," says Williamson President Maxyne Lang. "But we do try to keep an open mind and, more importantly, a sense of humor - torturing those kids in ADDAMS FAMILY VALUES with 'The Sound of Music' was truly funny and done with the full blessing of the R&H families - but I can't tell you how many usages we reject because they're beneath the dignity of the material we represent." After Lang and DiTuro reach a preliminary decision on the producer's request, they often take their recommendation to "the families." 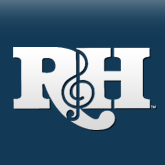 Here at the R&H Organization, several of the children of Rodgers & Hammerstein (Mary Rodgers, William Hammerstein and James Hammerstein), and the three daughters of Irving Berlin (Mary Ellin Barrett, Linda Emmet and Elizabeth Peters) take an active role in the administration of their fathers' catalogues. The owners of the Presley catalogue are frequently consulted on Elvis Presley material, and Sheldon Harnick, happily, can speak for himself. The Rodgers & Hammerstein families often say 'yes' to potentially controversial usages: PRIEST, a new BBC film that deals frankly with a young Priest's homosexuality features "You'll Never Walk Alone" in several scenes; Spike Lee's torrid drama of interracial romance, JUNGLE FEVER (1991) used Frank Sinatra's "Hello, Young Lovers" in one violent sequence to make a chilling and powerful comment. The Berlin daughters are also open to new ideas. "We signed with Berlin in the spring of '90," recalls Lang, "and almost right away I got a request that I just didn't want them to turn down. It was for 'White Christmas,' and it hadn't been licensed for a non-Berlin film ever. But the Berlins thought it over and gave us the green light. That film turned out to be HOME ALONE." On television so far this season Williamson has licensed songs to THE NANNY (star Fran Drescher is a huge FIDDLER and R&H fan), LIVING SINGLE, SISTER, SISTER and FRIENDS. Williamson licensed the theme song and title to the ABC series BLUE SKIES, and worked closely with producers on a mid-winter episode of THE FIVE MRS. BUCHANANS that had one daughter-in-law directing a local production of THE SOUND OF MUSIC starring another daughter-in-law as Maria, with Eileen Heckart, their dreaded Mother-in-Law, as the Mother Abbess. In that case not only a synch license but a "grand" or "dramatic" agreement was required: one that covered the musical itself as well as its songs. "Our catalogues are derived primarily from theatre or film scores," Lang points out. "Very often that original usage has played a role in the song's success. Using a song like 'Oklahoma' is one thing; having it sung by a cowboy draws directly from the musical OKLAHOMA! and must be acknowledged. The use itself may be perfectly fine, but we have to license all the rights involved." Aother case of grand (or dramatic) rights: "Right now the film CITY HALL starring Al Pacino and John Cusack is filming here in New York," says DiTuro. "In one scene the mayor, played by Pacino, goes to see a production of CAROUSEL. You see glimpses of the play, and hear Billy singing 'If I Loved You' to Julie. That's not just a performance of a song, it's a portion of the show. And, since they Williamson were, in essence, producing their own scenes from CAROUSEL, the CITY HALL producers asked for our input to insure authenticity." For many Williamson songs used in a feature film there is the added cache of making it onto the motion picture soundtrack album. Some of the latest examples include FORREST GUMP (a Billboard chart burner), IT COULD HAPPEN TO YOU, BULLETS OVER BROADWAY, ONLY YOU, MIRACLE ON 34th STREET and JASON'S LYRIC. "I'm proud of the work we do here," concludes DiTuro. "Maxyne and I will go over a script, we'll discuss it, we share it with Ted Chapin and with the families, we talk over ideas, we go back to the producers and we usually work something out... The whole process is one of give-and-take, a collaboration. It really is part of the artistic process and when I finally get to see the film months later, and see our credit at the end, it may not have been my movie and it may not have been my song, but I still know that I was a part of it!" CORRECTION: In the previous issue of Happy Talk a feature story on the Williamson representation of the Elvis Presley music catalogues reported that Julian and Joachim Aberbach were German. That is incorrect; the Aberbachs were born in Austria. We regret the error.